All of us, children and adults, are beautiful flowers. Our eyelids are exactly like rose petals, especially when our eyes are closed. Our ears are like morning glories listening to the sound of birds. Our lips form a beautiful flower every time we smile. And our two hands are a lotus flower with five petals. The practice is to keep our “flowerness” alive and present, not just for our own benefit but for the happiness of everyone. Since coming to Mount Madonna, my education on the finer things of all things yoga (think Ashtanga Yoga and its eight limbs — we’re not just talking asana) has multiplied beyond my wildest perceptions. My meditation and pranayama practice has lovingly developed to an almost daily tradition that allows for a deepening of clarity and vibration in my life. It’s indeed beautiful and awakening in its energetic magnitude. In our weekly classes, I have learned so much more about the art of yogic breathing, the ability to go inwards, the energetic properties of prana (life force & vitality) which flows through each of us, the chakras and so much more. With learning more about the chakras, as they are associated with our pranayama meditations, the imagery of a lotus flower (Nelumbo nucifera) comes up quite often. When we are taught about of the chakras, the lotus is visualised as seated on the crown (Sahasrara) in a subtle form of a thousand petaled lotus that opens upwards to receive divine cosmic energy. 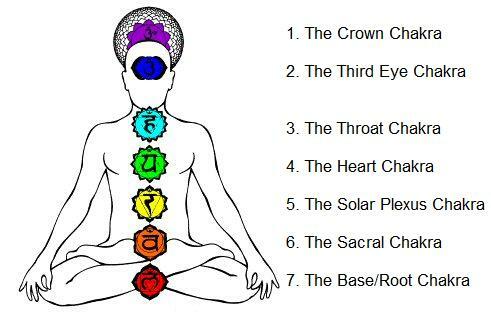 Also, it is typical for chakras to be depicted as either flower-like or wheel-like. I was truly curious about the symbolism of this flower. And so began my research. According to Wikipedia.org, in Buddhist symbolism, the lotus represents purity of the body, speech, and mind as if floating above the muddy waters of attachment and desire, and is a symbol of wisdom and purity. According to legend, Gautama Buddha was born with the ability to walk, and lotus flowers bloomed everywhere he stepped. The lotus flower grows from the bottom of streams and muddy ponds to rise above the water, opening when the sun rises and closing when the sun sets, sinking below the muddy water, resurfacing the next day, untouched and unsoiled. From this interesting blog, the author states that the eight petals of the flower could be taken to signify the eight noble paths. The white coloured lotus stands for mental purity and spiritual perfection, the red for purity of heart, love and compassion, the blue for wisdom, and the pink lotus is often considered as the supreme lotus reserved for the most exalted deity. This behaviour of the flower is a metaphor for the mind … without spiritual knowledge, the mind withdraws its beauty and form; with sadhana, the mind blossoms with illumination. Overall, the lotus flower is an archetypal symbol of the evolutionary potential and sacred development of each human being, signifying purity of consciousness and the journey of transformation from ignorance to awakening. The ‘Enlightened Yogi’ lives like a lotus flower, being fully grounded in earth yet aspiring towards the divine. Ardha padma-asana or half lotus posture (ardha means half) is where one foot is placed on top of the thigh and the other is placed under the opposite thigh (full Padmasana places both feet on the thighs). When I sit in this posture, I must periodically alternate my position so that I get an equal stretch in both knees, as it is a “two-sided pose”. When full or half lotus is not comfortably available to a person, one can practice baddha kona-asana (bound angle pose). ✥ The lotus flower also bears symbolism in Chinese culture. People in China love the flower for its purity and dignity. The beauty of this flower inspires artworks, poems, architecture, and design in Chinese culture. 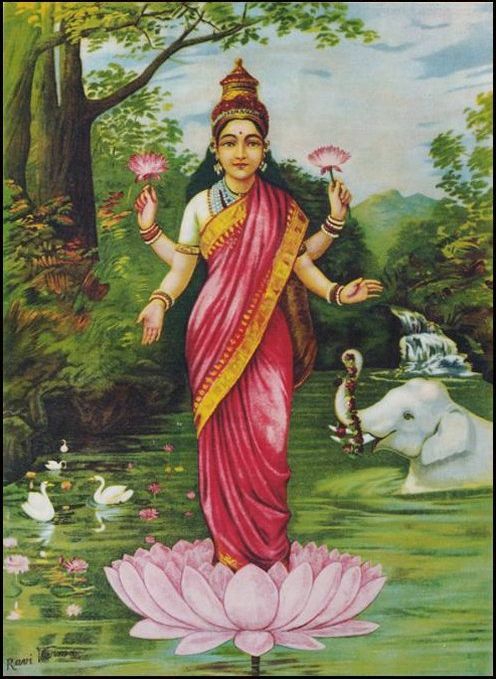 The lotus grows elegantly out of the muddy waters, unaffected and untouched by dirt and impurities, so it is considered supreme among all flowers, and is often compared to a person with strong virtues and moral values. In traditional Chinese culture, Bing Di Lian, meaning “twin lotus flowers on one stalk” is used to refer to a married couple. 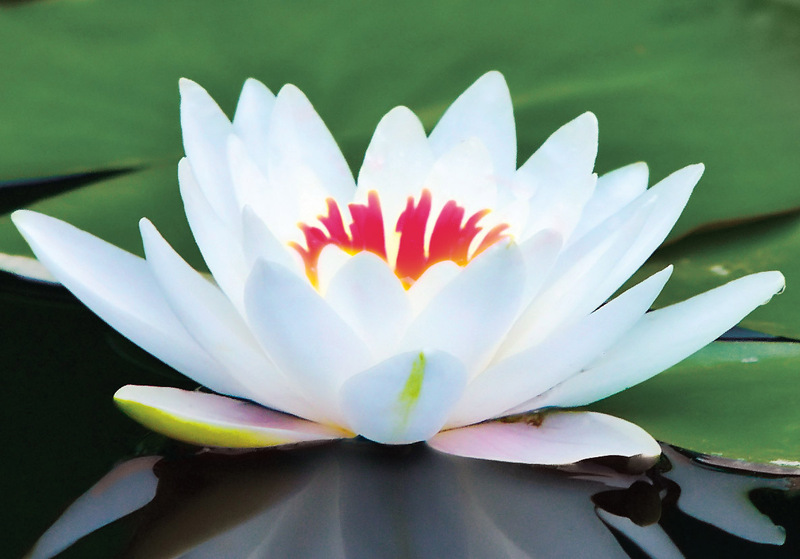 ✥ In Christianity, lotus is replaced by the white water lily. It is sacred and associated with the holy mother Mary. It represents divinity, holiness, purity, and fertility. In most of the Christian churches, white lily is depicted as the emblem of the Annunciation by Archangel Gabriel to the Virgin Mary. ✥ Since several parts of a lotus are edible, the Native Americans defined this flower as the ultimate power of the sun, to transform energy into food. ✥ In modern times, lotus is one of the most popular flowers, to be used for tattooing, mainly due to the meanings attached to it. A lotus tattoo signifies that it is always possible to overcome the trials and tribulations of life to attain fulfillment and perfection. ✥ The lotus flower is revered by the Taoists as well. In the Taoist culture, the flower signifies a way of life based on morality, purity, wisdom, and harmony. To sum up, lotus is one of the few flowers that has fascinated mankind from time immemorial, with its exotic and mysterious beauty. 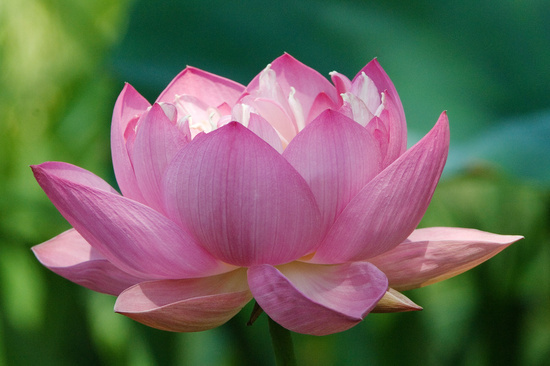 Lotus also inspires the human mind to achieve perfection, even in the adversities of life.